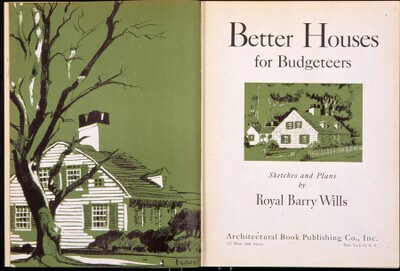 The time seems appropriate to revisit Cape Cod House design as it was promoted by a pioneer of their twentieth century revival, Boston architect Royal Barry Wills. When Wills started out in his architecture career he established himself designing English Tudor inspired homes in suburban towns around Boston like Newton and Brookline. But, it was his rigorous examination and subsequent success with the Cape and Colonial Revival homes that cemented his reputation as one of the most influential residential architects in America. Wills made every effort to publicize what he was doing and how to do it. The fact that other architects and designers didn’t seem to grasp some of the subtleties of his techniques only made his services more sought after by those who wanted the genuine article. From its historical roots the Cape style house is a study in simplicity and function, but with the right combination of details and a careful arrangement of proportions it can be a deeply satisfying architectural composition. Wills did not seek to perfectly replicate the rugged and spare shelters of the 17th and 18th century on Cape Cod. To do so would have certainly alienated a client base that appreciated the imagery of the Colonial era, but with modern conveniences and luxuries like indoor plumbing and garages. The images below were originally published in the August 26, 1946 issue of Life magazine. They provide a concise summation of the design principles espoused by Wills. What is ironic about the “Bad Design” is that is the more frequently used model for Cape construction in modern times. Contractors could, and still do, make a compelling argument for the extra space and material economy that can be realized by employing a steeper roof pitch and larger dormers. 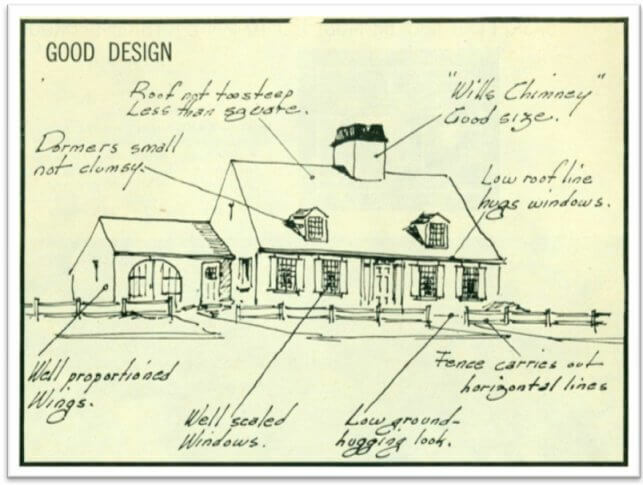 The “Good Design” sketch also conceals the time and care that often went into the details of the custom designs produced in the Wills architectural office. The surge of building in the post-war era witnessed a shift to production techniques that favored production speed over individual craftsmanship. 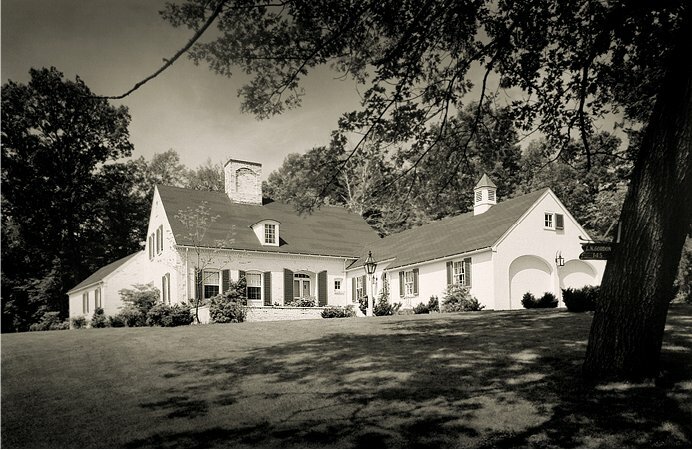 The homes that Wills designed early in his career benefited from the input of skilled carpenters who could invest significantly more time in the construction of mouldings and window trim. These illustrations also conceal the fact that Wills strived to make his architectural commissions a complete expression of his client’s needs and habits. The constant motifs of large chimneys, carefully scaled windows and exquisitely detailed front entrances imply a formulaic approach to the design process. The subtle variations in floorplans, combined with unique site conditions, contradict this assessment. Wills’ houses display a careful balance between space planning and exterior aesthetics. 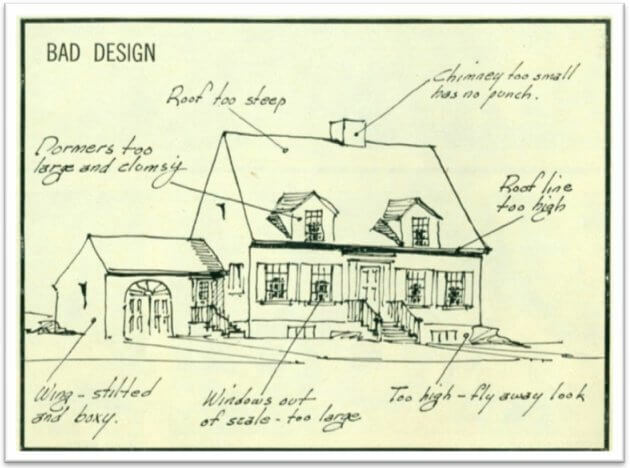 The Cape house, with living spaces on the ground floor and bedrooms above, was modified successfully by Wills in numerous designs—his book Living on the Level demonstrated how the visual elements of the two story house could be used in single story floorplans. The power of the Cape Cod house derives in no small part from its near limitless flexibility in layout and details, but without discipline, a Cape can turn into a jumble of awkward shapes. By establishing rules for the composition, Wills could steer the design process in a direction that ensured a satisfactory outcome. And those large central chimneys that define a Wills home—some of them were fake. Thanks, Dave, and RBW Associates. I look forward to more guest posts. Reader, in addition to looking at their main site, here’s a page I love with photos from RBW projects over the decades. 325 hazelton ave if anyone wants to check it out!